It is…(cough-cough)…fraud. Could never happen to you, right? Actually it can, and it does happen to many more businesses than you think. And, there are two sad truths here: (1) that the “best” designed frauds are very hard to detect, and can go on for years and years undetected, and (2) they are often the most trusted employees who pull them off. 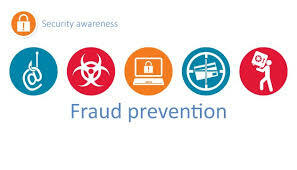 You may think that with perfect Internal Controls you would have no fraud. Unfortunately, that is not the case. Even with a 3-way match, there are 2 frauds that are very, very difficult to detect. The Receiving Report prepared by the company. 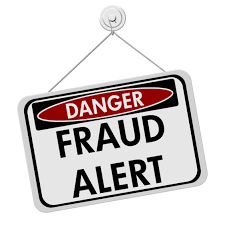 Let me share with you the first tough fraud to detect – it is called a Pass-Through Scheme. One fraud expert has said it is very common and very difficult to detect with even good Internal Controls (like 3-way matching). The supplier company invoices the shell company and the shell company in turn invoices your company with, say, a 5-10% markup. If that seems like a small markup, I read recently of a company that lost $500,000 per year with a scheme like this. A salesperson at a supplier company convinced an employee (of a defrauded company) to buy direct from a shell company with same terms as supplier. The first few invoices were passed on exactly in same quantities and prices as ordered by supplier. Then the markups on price started, and the “clever-crooked” sales person then enrolled the employee with kick-backs. In one year, $500,000 was over-charged. Collusion makes things harder to uncover. When I was articling to be a Chartered Accountant in my twenties, I remember auditing a public company that managed rental buildings. The company owned many buildings, and they had building managers. In this case, a few years before I worked on the audit, the Controller told me what happened. Her most trusted bookkeeper, working in Accounts Payable, had her boyfriend invoice the company with details of painting jobs done on various buildings. She forged various building manager initials to indicate they were approved bills. This kind of expense made sense for this kind of company, so no red flags occurred. 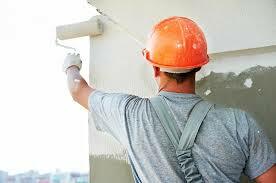 Then as part of the audit tasks a call was made to a building manager to verify an invoice and the shocked building manager indicated that the building had NOT been painted at all. This led to the bookkeeper and her boyfriend and the whole scheme unraveling, and they were charged. This was a woman the Controller loved and trusted and it broke her heart. Sadly, she never trusted anyone after that, and became a workaholic, working until midnight most nights to do all the work that she used to delegate. I felt very bad for her. You can see, though, that the pass-through scheme is much slicker than this scheme (goods/services were never delivered at all) because the company actually does receive the goods! Another very difficult to detect scheme is where a trusted employee has physical custody of goods ordered. 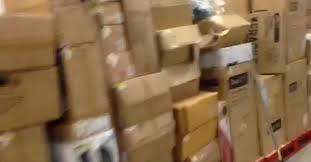 What they do is over-order a bit each time and syphon off the extra goods for re-sale. This is particularly common with goods that can easily be sold on the open market. The bills are all correct, and the same person doing the receiving will mark them as all received. Be suspicious of companies that look like they might be a shell company unrelated to the actual vendor! Have bills be approved virtually by Department Heads/Managers (we use a program called ApprovalMax for our clients). In this way, you can trace approvals to an actual IP address. (Why? Because initials are easy to forge, and IP addresses impossible). For smaller companies usually some basic Internal Controls are enough to prevent fraud, and online cloud-based software helps, like ApprovalMax. Bigger companies, with millions in purchases can attract more sophisticated schemes. Because the owners of a large business have less involvement in the day-to-day purchasing and accounts payables, more reliance is placed on trusted employees and systems. Lastly, be very suspicious of key people in accounts payable and purchasing who never take holidays. 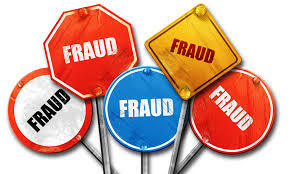 It is often when a new person comes in – even for a few weeks – that the fraud scheme will unravel. At a philosophical level it is hard to imagine how people could enjoy spending money they did not earn! And, usually all illegal, underground activities have a way of being discovered at some point, so it is only a matter of time. Perhaps the guilty consciences of the perpetrators lead them to taking greater and greater risks, almost hoping they will get caught.